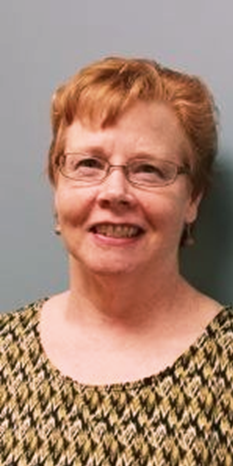 Cheryl Mills, LCSW-R, has been named Interim Division Chair for the NASW-NYS Western Division as the 2019 Chapter Election is under way. Please join us in giving a warm welcome to Cheryl! My name is Cheryl Mills, LCSW-R, and I am a graduate of the University at Albany’s School of Social Welfare. I have been a member of NASW for 30 years and an active member of Western Division Steering Committee since 2006. I have extensive experience in health care and mental health care. For almost 11 years, I worked as a medical social worker at Roswell Park Cancer Institute and during that time, I also served as field instructor for the University at Buffalo’s Master of Social Work program. I have approximately eight years of social work case management experience in a health maintenance organization, handling medically complex case management with individuals with multiple chronic illnesses. I was the first master’s level social worker to be employed by this organization, as well as the first social worker to obtain the Certified Case Manager (CCM) credential. Additionally, my social work background includes more than four years of working as a counselor in two outpatient mental health clinics in the Western New York area; over 10 years at the Buffalo Psychiatric Center, where I facilitated psychosocial group therapy on adult inpatient units on a part-time basis; and more than two years of private practice in two independent practitioner groups on a part-time basis. Since July 2018, I have been taking a leave from the social work field to serve as primary caregiver to my partner, who had a stroke two and half years ago, as well as caring for my 91-year-old mother who lives the Syracuse area. I have been working part-time at Wegmans’ bakery department since August 2018 and my plan is to return to the field shortly. As an active participant of the Western Division’s Steering Committee, I have seen the Division go through many accomplishments, challenges, and changes. I truly want to see our Division grow and thrive and felt that this is the right time for me to step into the role of Interim Division Chair. I look forward to building a stronger and more unified Division together, and help educate social work students, the social work community, and all of Western New York, on the important, meaningful contributions that social workers make every day. The NASW-NYS Western Division is one of the Chapter’s ten division chapters. The goal of the Western Division is to build strength through association in the Allegany, Cattaraugus Chautauqua, Erie, Genesee, Niagara, Orleans, and Wyoming counties. Please visit naswnys.org/western for more information on how to get involved.